Cupcake papers are a material for which I find endless uses. 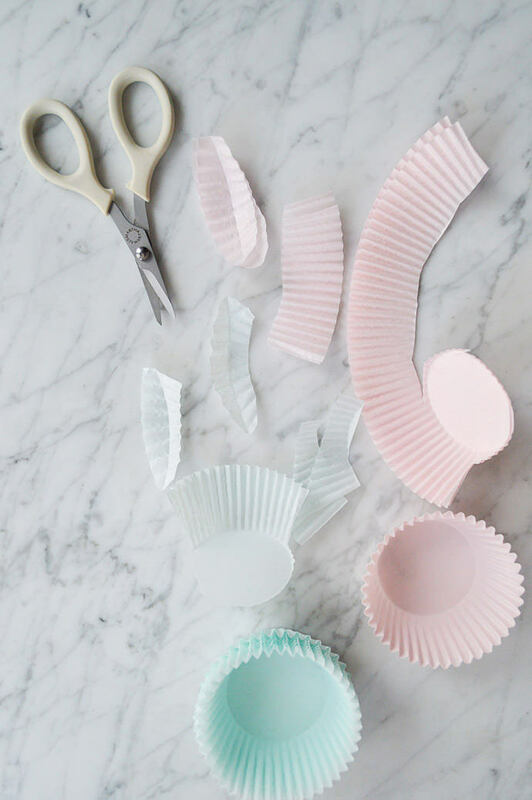 Lightweight and food-safe, they are perfect for not only baking cupcakes but for decorating them, too! 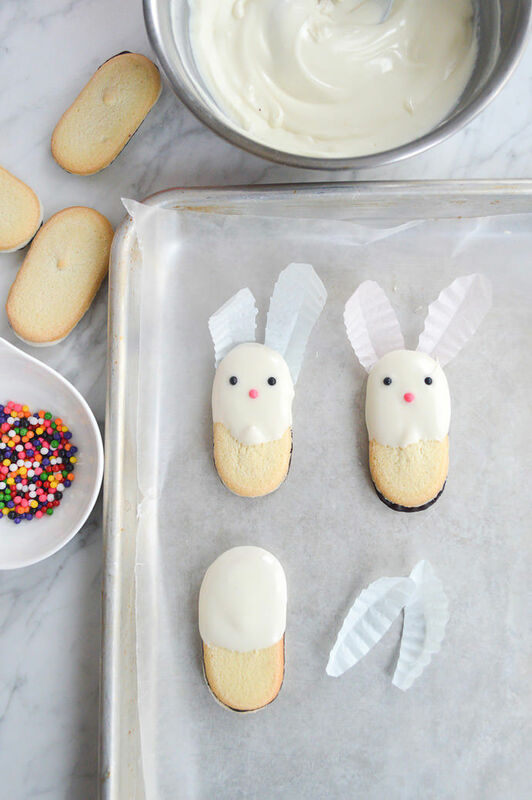 Use them to create bunny ears and chick wings for an easy and cute Easter dessert. 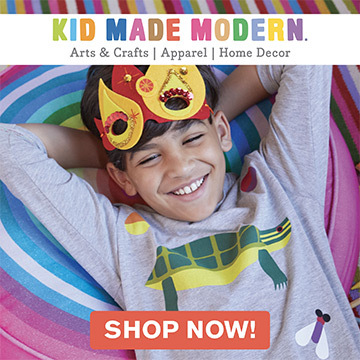 Get your kids to help cut out the shapes, dip the cookies in white chocolate, and place the sprinkle eyes and noses. 2. Line a tray or baking sheet with wax paper. Melt white chocolate in a double boiler. Dip the oval cookies halfway into the melted white chocolate. 3. Place the cookie on the wax paper and tuck two ears behind the top of the dipped side of the cookie. 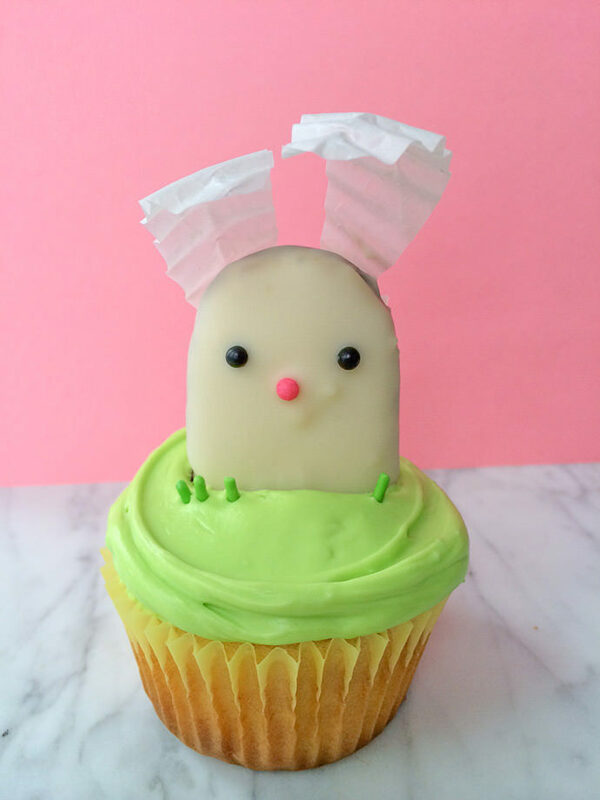 Place jumbo nonpareil eyes and a nose onto the white chocolate beneath the ears. Repeat to make as many bunnies as you’d like. 4. Place tray in the refrigerator and allow bunnies to chill for around 30 minutes or until chocolate hardens. 5. 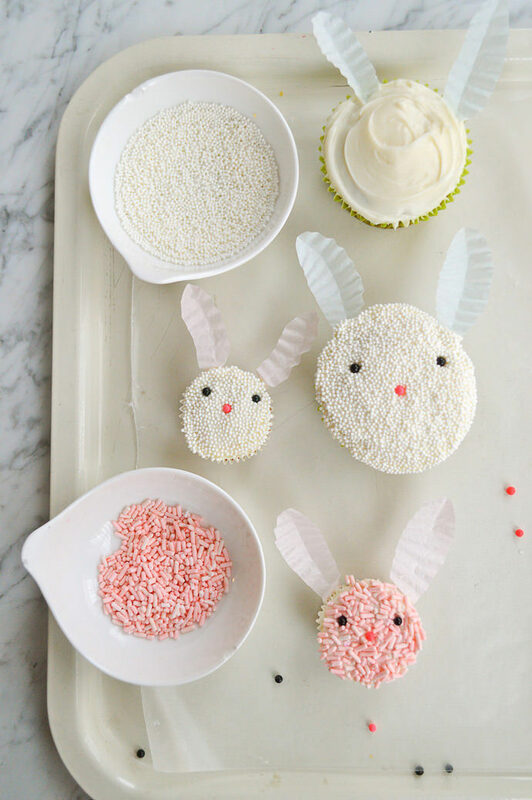 Gently pull the bunnies off the waxed paper and push into each into a frosted cupcake. Place a few pieces of green sprinkle “grass” onto the frosting. 2. Generously frost cupcakes. Gently slide each ear into the frosting at one side of the cupcake. 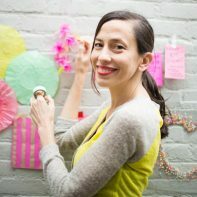 Place sanding sugar, sprinkles or nonpareils into a bowl and press frosted cupcake top in to coat. Place jumbo nonpareil eyes and nose onto cupcake top. 1. Cut out curvy-backed ‘D’ shapes for wings. Cut a small triangle beak out of an orange gumdrop. 2. Frost cupcakes. Place yellow sanding sugar, sprinkles or nonpareils into a bowl and press frosted cupcake top in to coat. 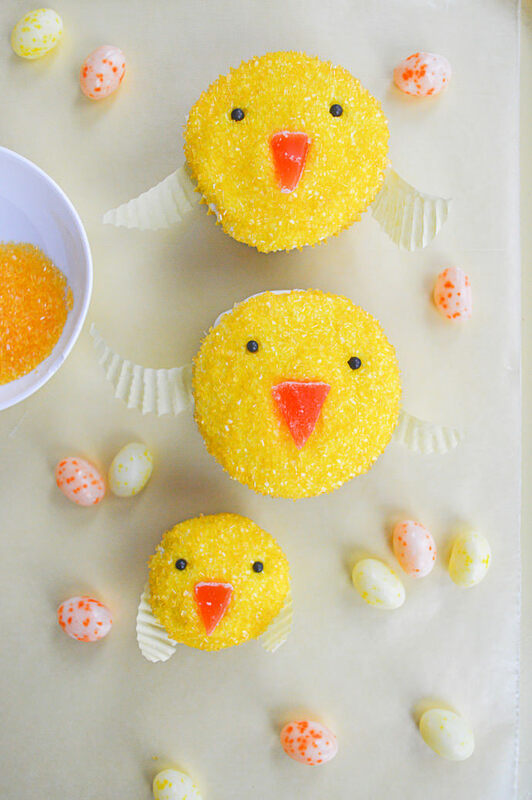 Place jumbo nonpareil eyes and gumdrop beak onto cupcake top. 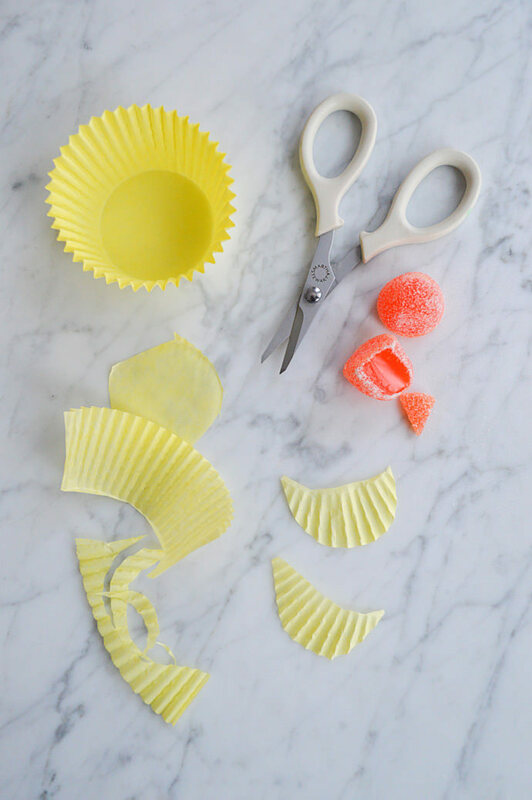 Use small dots of icing to “glue” the wings to the sides of the cupcake. Remind children to remove the paper ears and wings before eating! I love these cupcakes! They look adorable! 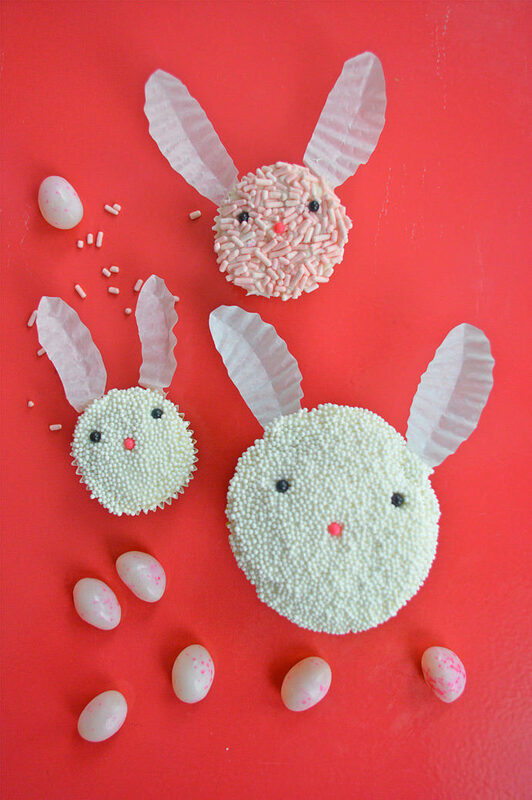 Love these and also, making Easter Treats! Wonderful share. So adorable! Love all of these!